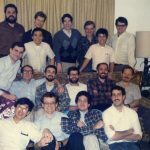 This article is part of our Summer 2018 Newsletter, where we interviewed our Alumni: men who, out of their desire to pursue the Lord, have investigated the life of the Servants of the Word but, through their investigation and discernment, decided that their path of discipleship lay in a calling other than the brotherhood. “What first drew me in was how natural these men were: spiritual, but also fully human, playing sports and having fun with each other. I dare say they were not overly pious” (LB). “The life of the brothers is very rich and provides a good balance between prayer, service and work – I liked that” (SM). “I liked the kind of Christianity and spirituality those men were living” (PM). “It is easy to underestimate the bond of comradery and the depth of relationships you develop in brotherhood households. Thanks to the wisdom and teaching developed over the years, life flourishes” (DJ). “The brothers work hard at maintaining and protecting relationship time in the midst of busy schedules and responsibilities pulling into various directions. I have taken that on board and it helps me in my family, where we have older kids with disparate schedules” (AJu). “You can take mealtimes and spiritual conversations for granted, until you try to implement that in another household or family. I now appreciate these at a whole different level” (SB). “I am an elder in a church and I see how much good Christians struggle to maintain and repair relationships. Brotherhood life taught me an immense amount in this area” (CM). “One of the things you learn living with the brothers is a sense of community, and what it takes to love one another” (DJ). 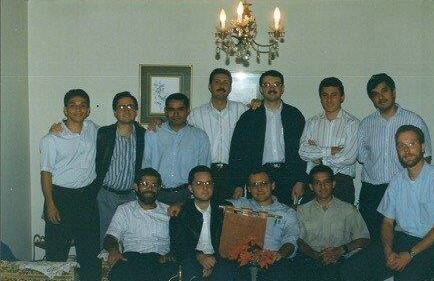 In fact, many “alumni” have maintained strong relationships with the brothers. “When I had to come back to Michigan during my sabbatical, my family remained in Costa Rica. It was the most natural thing to ask the brothers whether I could stay with them. They agreed and it became a high-point of my time.” (LA). “The bond we formed while living together has never left me. Whenever brothers come through town we see each other and pick up where we left off” (BL). Andy Jordan (AJo), 30 years old, married with one boy and one child on the way. Youthworker in Glasgow, Scotland. Andy Juan (AJu), 55, married with 4 children. Manager in a large, multinational corporation, currently self-employed and also senior coordinator of the Ligaya ng Panginoon community in Manila, Philippines. Brett Lockhart (BL), 59, married with 4 boys, barrister and Queen’s Council in Northern Ireland. 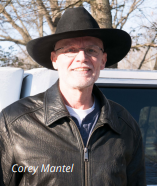 Corey Mantel (CM), 59, married with five children, computer engineer, living in Chelsea, Michigan, USA. Fr. Dan Jones (DJ), 64, Catholic priest, Associate professor at the Sacred Heart Seminary and Pastor of Our Lady of the Rosary, both in Detroit, USA. Dave Wittgens (DW), 44, married with 5 children, practices general medicine in Detroit, USA. Leo Banog (LB), 49, married with three children, IT consultant based in Manila. Luis Fernando Aragon (LA), 59, married with two children, professor at the School of Physical Education and Sports Sciences and director of the “Human Movement Science Center” at the University of Costa Rica. Luis Brenes (LB), 51, married with four children, agronomist and organic agriculture consultant in Costa Rica and senior coordinator of the community “Arbol de Vida” in San Jose, Costa Rica. Peter Mackenzie (PM), 53, married with two daughters, Anglican minister and currently vicar of St. John & St. James in West London, UK. 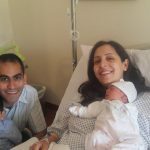 Salim Baz (SB), 32, Lebanese, married with two young children, currently working on a PhD in Finance at Imperial College-London.